What does it mean to be an “adventurous eater”? There’s really no right answer--adventure looks different to all of us. It may be trying a dish with unusual ingredients from the natural world, seeing what happens when chemistry and cooking collide, or even putting a creative new twist on a classic cake. Many of the cookbooks we’ve seen of late offer intriguing opportunities to journey outside our comfort zones into new and interesting fare without leaving our very own kitchens. From wild game to wild greens, here are a few ideas for entering a brave new culinary world. The highly acclaimed, James Beard Award–nominated chefs of the Joe Beef restaurant in Montreal bring their maverick style and beautiful sophistication to a new cookbook that is an adventure in itself. 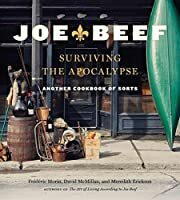 With Joe Beef: Surviving the Apocalypse, you can make lobster sausage one day and beef fat soap the next (just don’t confuse the two when entertaining guests). Fun stories, creative recipes, and gorgeous photography all come together in this quirky culinary adventure. 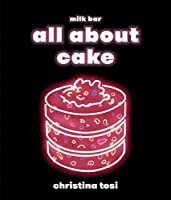 Tosi has made her mark with the addictive baked goods she serves at her multiple MilkBar locations and she’s letting home cooks in on the party with All About Cake. Armed with a creative, “let’s try it and see what happens” approach, and dedication to the art of baking, the recipes Tosi shares turn the ordinary into extraordinary. Burnt Miso Pound Cake, Popcorn Cake Truffles, and Pretzel Layer Cake are just a few of the stops on this baking adventure. Copenhagen’s Noma has been named the “World’s Best Restaurant” four times — yes, four — by the prestigious fine-dining publication Restaurant, and every dish they serve includes a fermented ingredient. 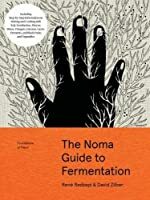 For the first time, the Noma chefs share their extensive knowledge and how-to, with recipes for kombucha, vinegars, and more. Fermentation is an age-old technique that is back with modern innovations. With detailed instructions, including over 500 illustrations and photographs for more than 100 recipes, this is the ultimate guide. Those hungry for the next trend in world cuisine, take note: Filipino food is on the rise. In this new book, home cooks will discover the bold flavors of a cuisine that they may not have explored as widely as Italian, French, or Mexican fare. An introduction to the history, cultural influences, and techniques that have shaped the foods of the Philippines brings an extra layer of richness to recipes that are anything but ordinary. We’re seeing more and more restaurateurs taking a page from the past and serving dishes made from animal parts we have shied away from in recent decades. Bone marrow has gone high end, and offal is no longer awful. 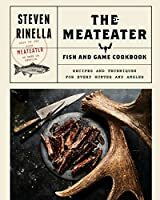 The MeatEater Fish and Game Cookbook covers not only commonly hunted game and fish -- your salmon and venison -- but also recipes for things like roasted beaver tail (that’s a first for me) and bullfrog legs with butter and wine. Butchering instructions included. 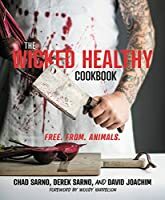 For anyone wanting to venture into vegan territory, The Wicked Healthy Cookbook will take you there with style. The Sarno brothers’ recipes will shake loose the notion that “vegan = boring/bland/blech.” Once you see the beautiful photographs included in the book, your mental picture of what plant bacon looks like will vanish as fast as the dishes you’ll soon be inspired to make. * This article was originally published on January 2, 2019 in a slightly different format on Amazon Charts.